By the end of September, 2017 had seen more than 100 European-based companies publicly subjected to shareholder demands. Reached slightly later this year than last, and much earlier than in 2015, that milestone signals that if activism in Europe has lost its capacity to shock, its future also looks secure. from more than 300 to nearly 500 over the last four years. And at least part of the increase in European activism in recent years has been due to a higher incidence of foreign activists looking for opportunities as the U.S. market has become increasingly pickedover. Often the most high-profile of situations, campaigns by U.S. activists at European companies this year have included Third Point Partners at Nestlé, Elliott Management at AkzoNobel, and Corvex Management at Clariant. 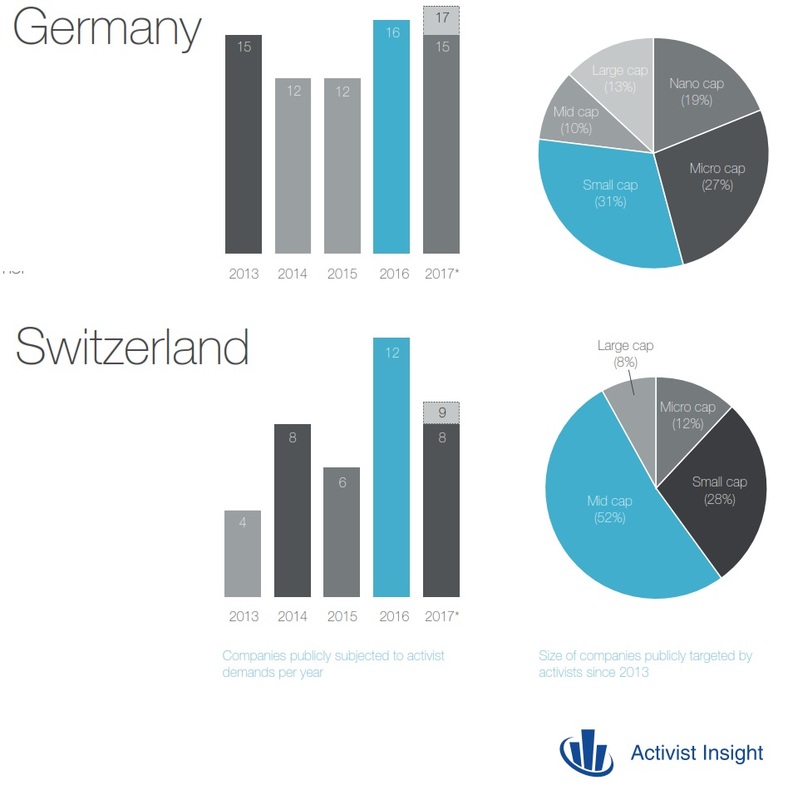 To read the rest of the Special Report from Activist Insight on Activist Investing in Europe follow this link https://www.activistinsight.com/your-free-report-activist-investing-in-europe-2017/. 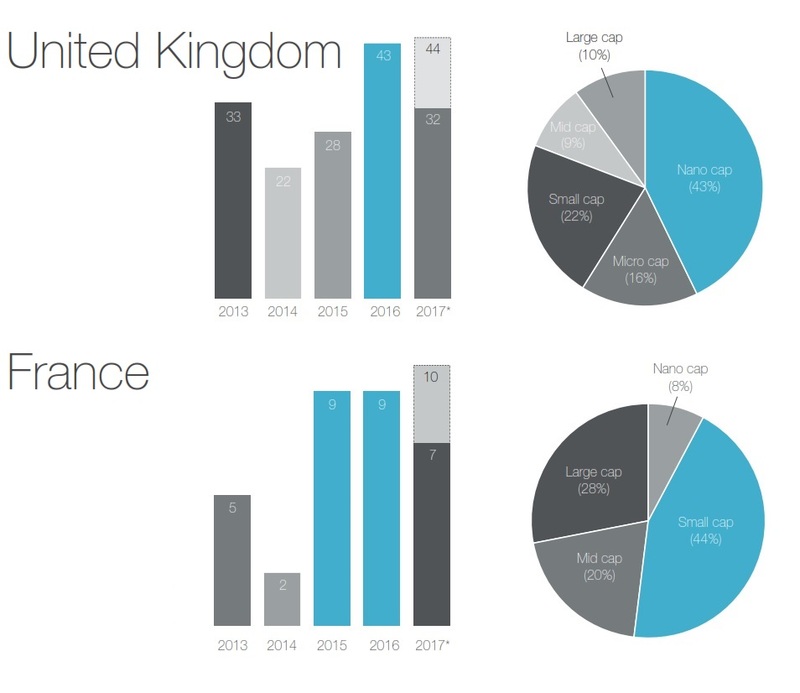 The full report includes an overview for the year and a section on Italy as well as the four countries in the graphics below.